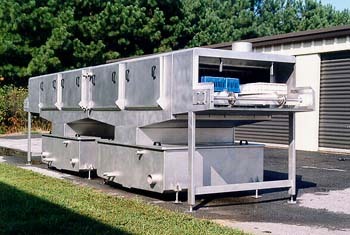 Warrior Systems manufactures modular tray washers to meet individual customer requirements. Wide or multi lane models are available. Easy access side panels make for easy clean up and removable bars make maintenance simple. The wide water recycle tanks house standard copper coils for boiler heat and have large clean out doors. 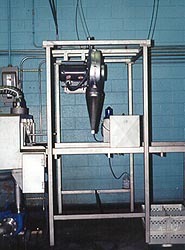 All nozzles are stainless steel as standard. Heavy duty conveyor is stainless. Electronic speed controller for the conveyor is standard. All motors, control panel and E. Stops are supplied. Stainless steel nozzles and manifolds. Contact us today for more Hatchery Equipment information!